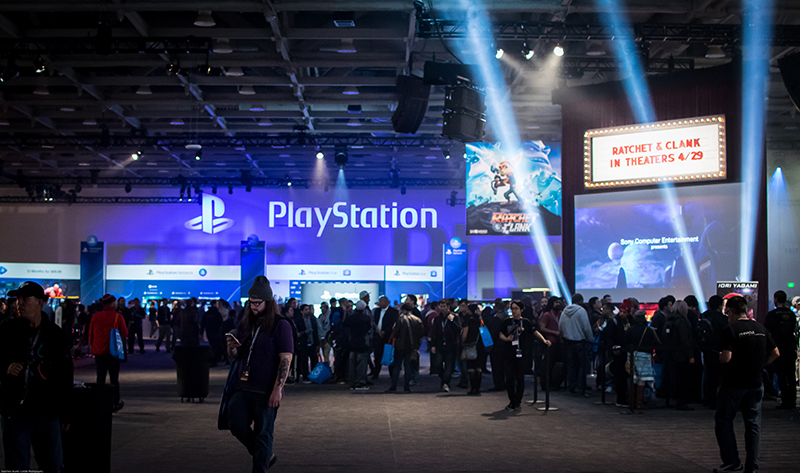 If any single word should describe Sony Computer Entertainment’s second annual PlayStation Experience, it’s “love.” Held in San Francisco’s Moscone Center from Dec. 6–7, PSX 2015 proved that the “Experience” was all about the fans. From the moment we saw the keynote’s cantankerous man humorously lecturing the modern gaming scene to those final minutes before closing time spent trying to cram in just one more round of Alienation, I felt the love. 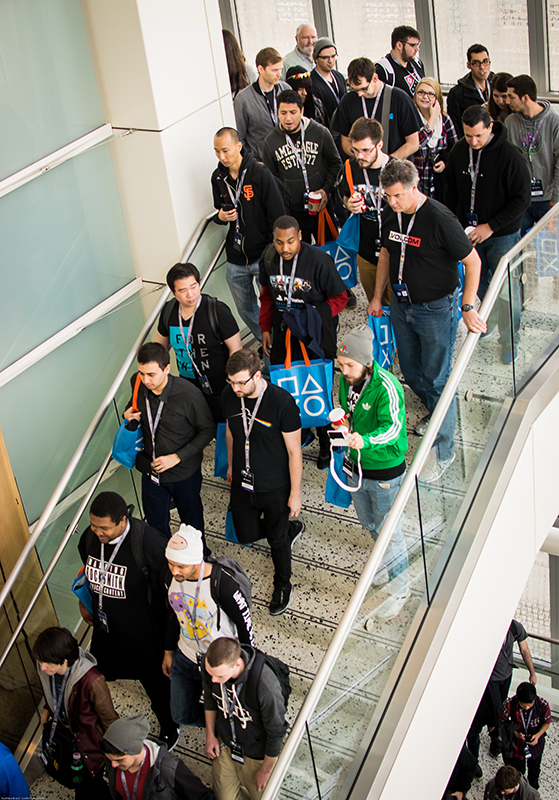 Those in attendance got to meet developers, test upcoming titles, and sample the first form of a technology that could possibly change how we play video games. But enough of my enthusiasm; let’s get to it! If ever there was a group of people that made me feel at home, it’s the gaming community. Everyone I met at PSX—ranging from casual gamers to developers like Techland’s Lead Game Designer Maciej Binkowski—shared in my mirth for the general festivities, sometimes even doubling what I thought possible. During the keynote, I saw harcode fans trembling during the announcement for the next Ni No Kuni game. Jaws dropped as we saw gameplay footage of the eagerly anticipated Final Fantasy VII remake. We even witnessed Internet gaming personality Greg Miller shoot to his feet when Third Party Production Director Gio Corsi revealed that Supergiant Games’ Bastion was now available to play on the PS Vita. That passion for games lasted throughout both days of PSX, and honestly that jubilation kept me on my feet the entire time for fear of missing some great game around the next corner. Speaking of Greg Miller, Saturday night featured a Just Cause 3 party/meet-and-greet with the guys at KindaFunny. We walked there two hours before the scheduled time, and the line ahead of us had probably another 200 eager fans, and those showed up later trailed off for multiple blocks—I actually wouldn’t be surprised if 75 percent of the people attending PSX were in that line to shake hands with the iconic gaming commentators. While waiting in line, we met a couple celebrating their 22-year anniversary at PlayStation Experience. I thought my fervor for gaming was devotional, but they have as many as many PS4s and PS Vitas as there are members in their immediate family—five total under one roof. This is the kind of community that makes me proud to be a gamer. 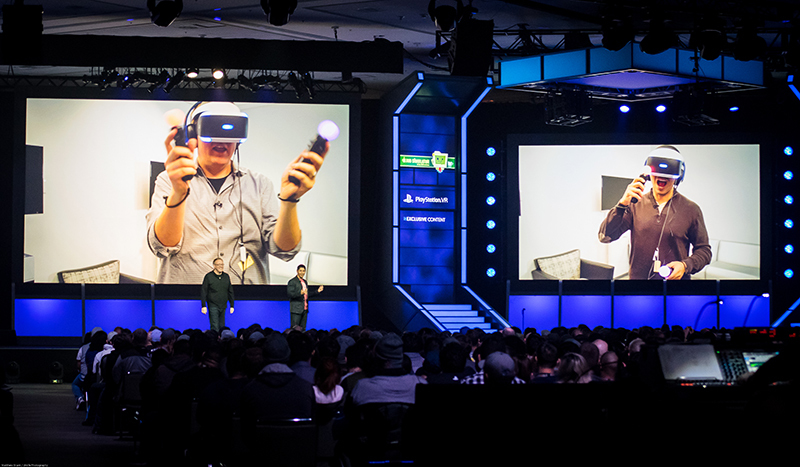 The VR headset became something of a PSX 2015 mascot. Droves of eager geeks lined the floor for the opportunity to experience Sony’s upcoming peripheral. I played Vanguard V last year when it still went by “Project Morpheus,” but one year and name change later, PlayStation VR seems like more than a simple gimmick—well, eventually. This year I went hands-on with Harmonix Music VR and World War Toons. Harmonix Music VR had two modes available for the demo: “Easel” and “Beach.” The former played pretty much how it sounds: You use the PlayStation Move as a virtual paintbrush, splashing globs of polychromatic shapes onto a three-dimensional canvas. I enjoyed creating elaborate designs which synchronized and syncopated my music selection. It wasn’t until I shifted my head around and took a step back that I was overcome with a rush of potential. Any attempt to express such an epiphany would come up a little too short, but imagine the ability to engulf yourself within a digital soundscape of your own design from within the space of your own without any mess, save for the inevitable collision with nearby furniture. “Beach” was also pretty self-explanatory: Kick up the recliner and soak in the virtual sunlight on a tropical beach. At its core, “Beach” is just an interactive music visualizer, but I can clearly see the appeal to kicking back with a spliff while “Buffalo Soldier” plays in the background. Odds are that I’d spend considerably more time with something like “Easel,” which on its own wouldn’t warrant a software purchase, but I’m excited to see what else Harmonix includes in the final package. The next game, World War Toons, had an amusing trailer featuring the Axis and Allies singing to the tune of Gioachino Rossini’s “Barber Of Seville.” Unfortunately, the game itself afflicted me with an alarming wave of motion sickness. While the gamepad controls forward and backward movement, the only way to maneuver elsewhere on the horizontal plane is rotating your head in the desired direction. A couple minutes of this isn’t terribly disorienting, but after wandering amid the gunfire and explosions for a complete match, I could hardly stand after taking the headset off. I normally don’t get motion sick—I’m the sort of freak that can read books in a moving vehicle—so naturally this concerns me. From what I’ve seen and heard about VR games like RIGS and Job Simulator: the 2050 Archives, this problem seemed less pronounced, but I guess we won’t truly know until the peripheral’s tentative 2016 release. However, the VR game of show for me (even though I didn’t play it) was 100-Foot Robot Golf—and yes it’s exactly what it sounds like. 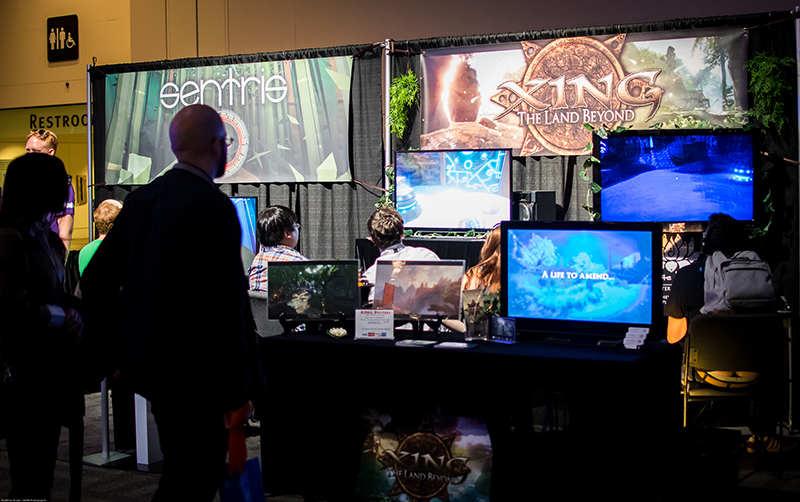 My favorite part of PSX 2014 was the emphasis on indie games—hell, they occupied roughly half the show floor at the Las Vegas Sands Expo Center—and to my delight, this year was no different. There certainly was the triple-A presence with juggernauts like Gearbox Software’s titanic Battleborn booth alongside other titles like Uncharted 4: A Thief’s End and Star Wars Battlefront, but I honestly made no effort to try them out. Now, before you hand me a membership card to the “Hipster Brand Club,” hear me out: I know what to expect with those games, and I intend to purchase each of them. However, there were so many games with development team sizes ranging from Soft Body’s Zeke Virant to Runic Games at 30 devs strong and hard at work on their mysterious puzzle-platformer, Hob. The greatest part of that emphasis on indie was the ability to shake the developers’ hands, thank them for all of their hard work, and gape in awe while the games spoke for themselves. My sides split from laughter at gems like Boneloaf’s Gang Beasts—which I’ll argue is one of the best ways to hang out with any group of friends—and then immediately question my existence with the existential KLAUS by La Cosa Entertainment. With the breadth of content currently out and the staggering amount of imminent releases, I can think of no better time in the history of video games to be an active member of this extraordinary hobby. We’ll have more first-hand PSX previews coming all week on SLUGMag.com. Now, if you’ll excuse me, I have spaceships to dominate in the upcoming Dead Star’s pre-order beta.